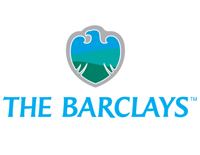 It’s the first week of the 2012 FedEx Cup playoffs, as The Barclay’s moves to one of the most popular venues in the United States. That would be up in Farmingdale, NY at Bethpage Black, site of the 2002 and 2009 U.S Open. 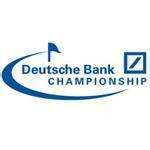 This entry was posted in PGA Tour Betting Odds and tagged bethpage black, betting odds, dustin johnson, fedex cup playoffs, justin rose, luke donald, rory mcilroy, sergio garcia, the barclays, tiger woods on August 22, 2012 by Bryan. Well, the 2012 Major championship slate came to an end on Sunday, and what a performance it was by Rory McIlroy at Kiawah Island. Two Major championship victories by a combined 16 shots is definitely impressive. Now, the PGA Tour gets set to shift to their playoff series. But before that, we have one more week. This entry was posted in PGA Tour Betting Odds and tagged betting odds, jason dufner, pga tour, webb simpson, wyndham championship on August 15, 2012 by Bryan. 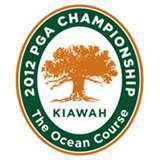 We have reached the final Major of the 2012 PGA Tour season, with players descending on Kiawah Island, the Ocean Course, in South Carolina for the playing of the 2012 PGA Championship. Deemed ‘Glory’s last shot’, it is the final chance for a player to cement their place in history with a victory. This entry was posted in PGA Tour Betting Odds and tagged adam scott, betting odds, kiawah island, pga championship, pga tour, rory mcilroy, tiger woods on August 7, 2012 by Bryan. Tiger Woods returns to the course this week, to a tournament that he has historically dominated. But Woods is coming off of yet another disappointing weekend at a Major championship. It certainly wasn’t as disappointing for him as it was for Adam Scott, who also returns to the golf course this week after last blowing a four-shot lead over the final four holes at the British Open. 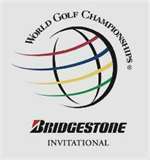 This entry was posted in PGA Tour Betting Odds and tagged adam scott, betting odds, tiger woods, wgc bridgestone invitational, world golf rankings on August 1, 2012 by Bryan. We are three quarters of the way through the 2012 Major Championships, with the British OPen concluding this past Sunday. It was Ernie Els who bested the field, though at the expense of Adam Scott, who blew a four-shot lead with four holes to play. This entry was posted in PGA Tour Betting Odds and tagged betting odds, canadian open, ernie els, pga tour on July 25, 2012 by Bryan.